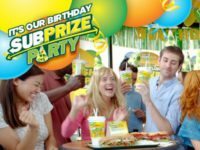 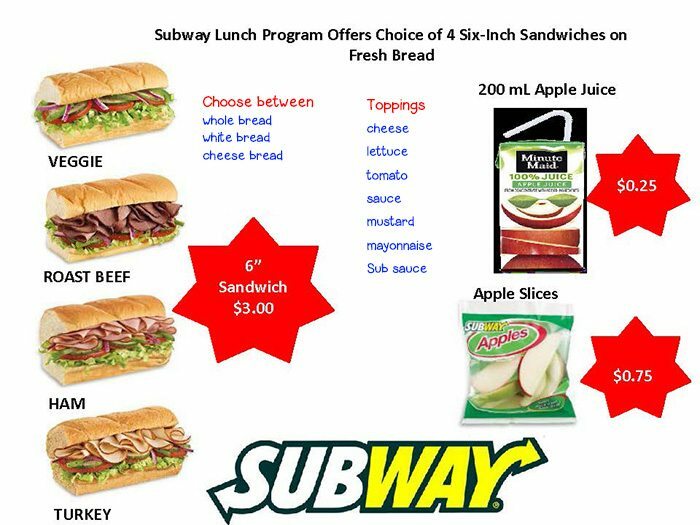 A fresh 6-inch sandwich, juice box and apple slices for your school will cost $4.00 per student (includes applicable taxes). Our Sandwich Artists® will prepare the sandwiches and the lunches will be delivered to your school. 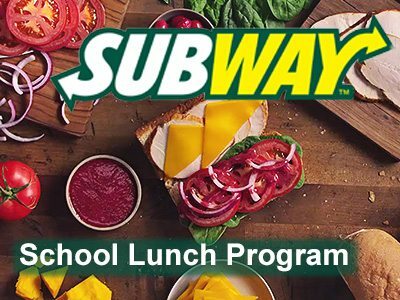 Each sandwich will be labeled with the student’s name. 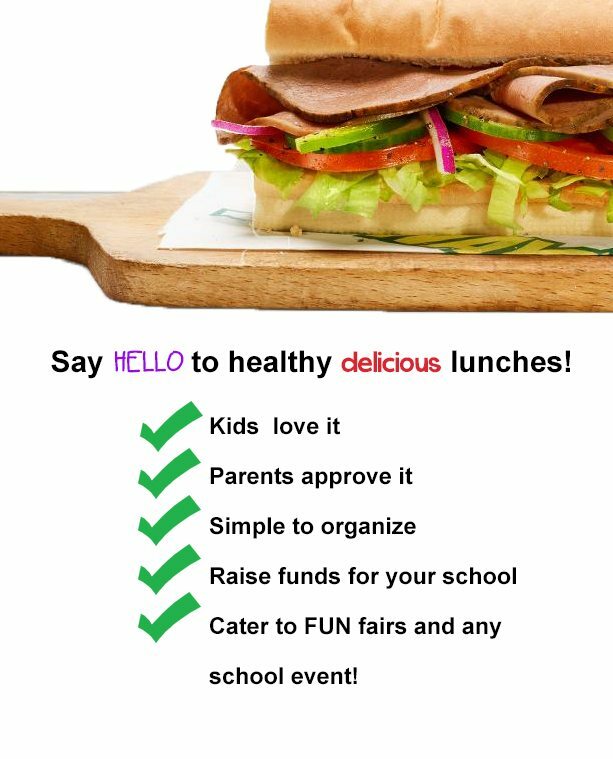 As a fundraiser, you can charge the fair market value of the sandwiches at $5.00 and apply the profit to support school!